Are you ready to discover the perfect blend of custom course materials for your class? Visit us on the web. 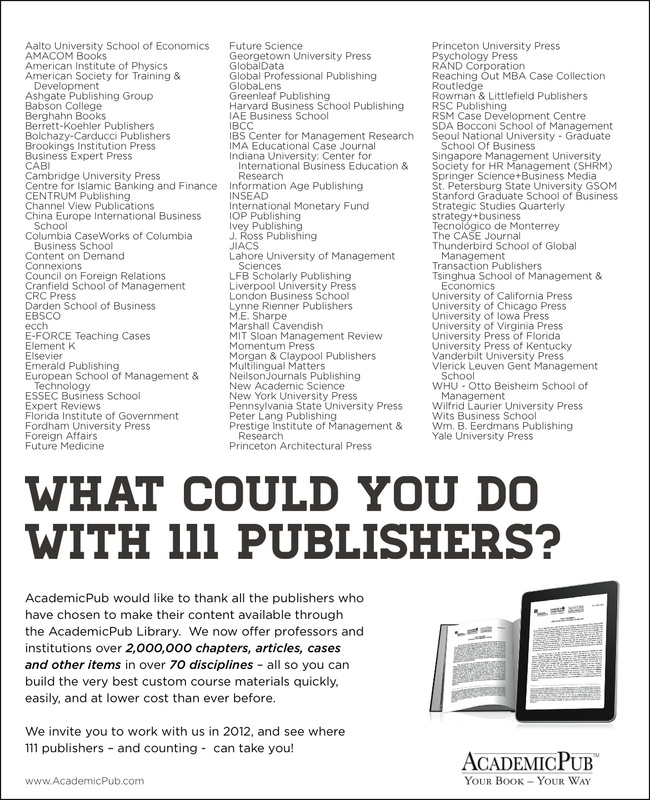 Want to keep updated with what's going on at AcademicPub? Follow us on your social network of choice, whether that's Twitter, Facebook, Google+ or LinkedIn.